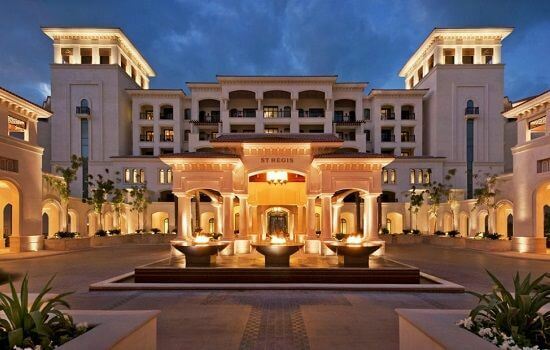 The 5 star St. Regis Saadiyat Island Resort, located next door to the Park Hyatt, is another jewel on the Saadiyat crown. 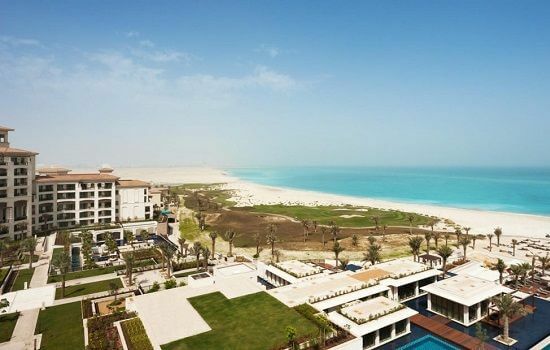 One of the most exclusive beach resorts in Abu Dhabi, the St. Regis Saadiyat offers guests a plethora of services and facilities, each providing guests the opportunities to create unforgettable moments. 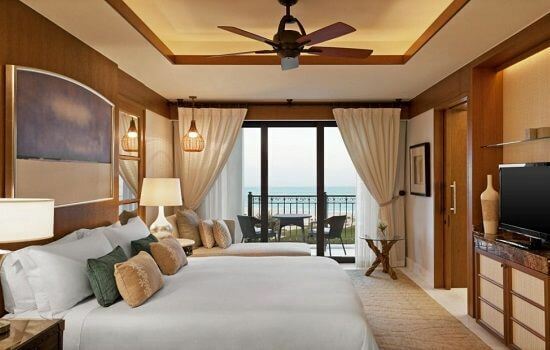 Discover guest rooms and suites overlooking either turquoise waters or the greens of the impressive Saadiyat Beach Golf Club. Embark on a culinary journey at one of their award winning restaurants. Its remarkable dining venues and unique settings will provide guests every opportunity to create mystical moments. Our favourite would be the fantastic 55th& 5th, The Grill, which serves up mouth watering steaks. The Iridium Spa is perfect for relaxation and indulgence. The serene atmosphere coupled with internationally acclaimed treatments is ideal for a total mind, body and spirit rejuvenation experience. Blending traditional remedies with modern technologies, the tailored treatments can be enjoyed in any of the 12 treatment suites. The St. Regis Athletic Club comprises a large state-of-the-art gym and a 25 metre indoor lap pool, in addition to outdoor tennis courts, two squash courts and four outdoor swimming pools.